Certified nursing assistant classes in Massachusetts provide the best way in order to work in the healthcare field within a short period of time. 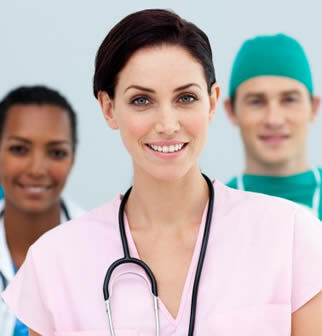 If you want an education which will guarantee you employment within only a few weeks, then taking a nurse aide training course will definitely your best option. Most classes can be finished within 4-6 weeks and you can take the competency exam shortly afterward. You should however, look for a program which has been approved by the state if you wish to be able to take the state examinations for certification. What is the Job of a Nurse Aide in Massachusetts? Nursing assistants are currently in demand in the state of Massachusetts. Hospitals can no longer accommodate as many patients who needs long-term care. Thus, more and more people are being driven to nursing care facilities which provide the needed services of the chronically ill and the elderly. Nursing assistants are those which provide these services to this type of people. They help them in their daily needs with grooming, feeding, transporting, and other health-related needs. These types of health care workers also perform documentations as well as take patient’s vital signs and communicate them to their medical supervisors. How Do You Become Certified to Work in MA? In order to become a certified nursing assistant, you should undergo a state-approved CNA training first. The state requires that a training facility should have been approved by the Massachusetts Department of Public Health in order to qualify their students for the state competency examinations. The classes should be able to provide both classroom sessions as well as practical training in a licensed nursing facility in order to provide exposure to the working environment in which the students would be working on when they finish the course. Skills that should be covered in the course must include basic patient care, medical terminologies, emergency procedures, grooming, taking of vital signs, and communication skills. The facility should provide training under the supervision of qualified health personnel such as registered nurses and physicians as well as other health professionals. Where Are Nurse Aide Schools Located? CNA training is offered in various schools, nursing facilities, colleges and universities around the state of Massachusetts. There are courses offered by the Bunker Hill Community College, the Holyoke Community College, and even the American Red Cross chapter in MA. The training can last for about 100 hours and practical trainings can be for about 21 hours in a licensed nursing facility. Tuition fees can cost from $500-$1,500 which will include payment for the training, books, and other instructional materials. Some schools uniforms, watches, and proper shoes for the training while others would not. Visit this page to learn more about the nursing assistant certification requirements in Massachusetts. How Much Does a CNA Make in Massachusetts? State examinations are administered by the American Red Cross and the testing fees for both the skills and written portion costs about $103. Some CNA schools cover the testing costs together with the payment for tuition. The exam is administered by Prometric and they will provide you with an authorization to test which is valid for one year. The average yearly salary for a nursing assistant in Massachusetts is about $29,450 according to the most recent survey. The average hourly rate ranges from $13.69 up to $14.16. This can all vary depending on your location, length of experience, and type of employer.